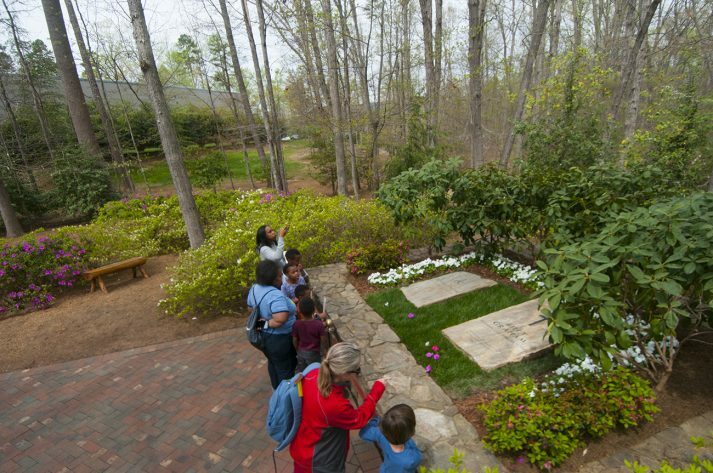 With flowers in bloom and summer approaching, now would be a great time to plan a visit to The Billy Graham Library, especially if you’re looking for a reason to head south. The Library, which opened its doors in 2007, has become Charlotte, North Carolina’s No. 1 attraction on TripAdvisor, drawing people from around the world. Often, visitors will even end up there by happenstance (at least in their eyes) looking for an actual library or while trying to find the way to Charlotte’s airport. Through the end of the year, the Library will rotate special displays for visitors to see. These exhibits are located in The Journey of Faith tour, are free to the public and no pre-registration is required. Prayer Garden visitors pause at the grave site of Billy and Ruth Graham. A short walk down the path will take you to the area where George Beverly Shea, Cliff Barrows, and Billie Barrows (early Crusade pianist and first wife of Cliff Barrows) are laid to rest. 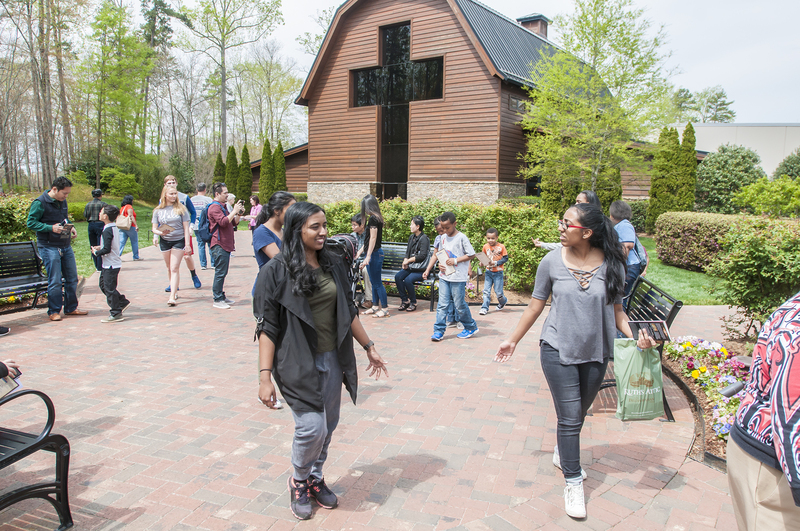 The Billy Graham Library has been more than a tourist attraction. Although designed to reflect Billy Graham’s journey from North Carolina farm boy to America’s Pastor, Mr. Graham wanted the Library to be an ongoing Crusade to share the Gospel well after he went to heaven. Nearly three months after Billy Graham’s passing, a steady flow of visitors are still making their way to the Library to honor the beloved evangelist. Mr. Graham’s private funeral was held March 2 on the Library grounds, and tens of thousands have visited since then to see his gravesite, the home he grew up in, and learn more about his life and legacy. The influx in visitors has also meant an increase in prayer requests and decisions for Christ. As a result, Billy Graham Rapid Response Team chaplains are on-site during business hours to assist Library volunteers with prayer, answer questions or simply lend a listening ear. In addition to the Prayer Garden and The Journey of Faith tour through the Library, visitors can enjoy milkshakes and other treats at the Graham Brothers Dairy Bar and stop by Ruth’s Attic Bookstore. The Graham Family Homeplace was also relocated to the Billy Graham Library property and meticulously restored so visitors can get a look at the two-story brick colonial that Billy Graham called home as a child. Great admirer of the life and ministry of Billy Graham. I love getting to know Billy Graham. He was a wonderful disciple for Jesus. Thank you for all you have done and are doing in Jesus’s name. Praise the Lord the wonderful man who has been chosen by God and world peace maker he has given lot of messages to this world and helped lot of souls to bringing up to God. Billy Graham was an amazing man. There will never be another like him!